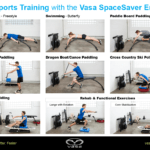 Vasa SUP Ergometer & Stand-Up Paddle Machine | Vasa Inc.
Gain more endurance and build a stronger core. 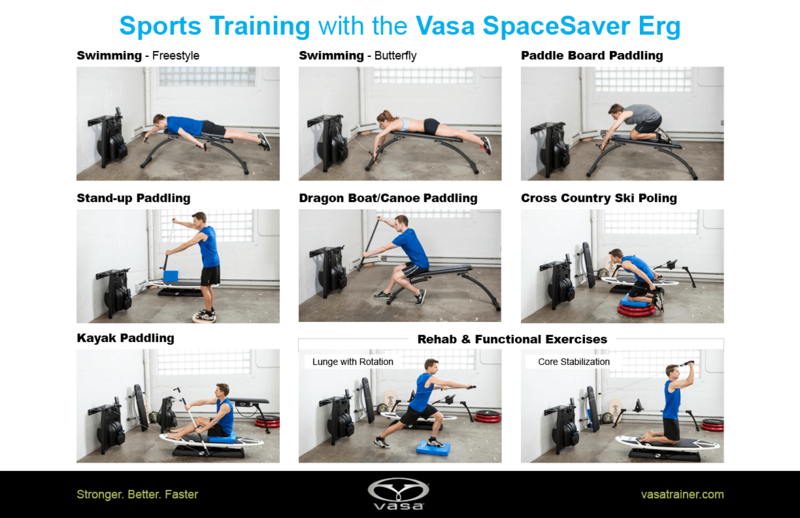 The Vasa SUP Ergometer & Stand-Up Paddle Board Training Machine provides a realistic simulation of paddling on water. Our most technical swim paddle, designed to position the hand, wrist and forearm in the ideal position to generate maximum power. 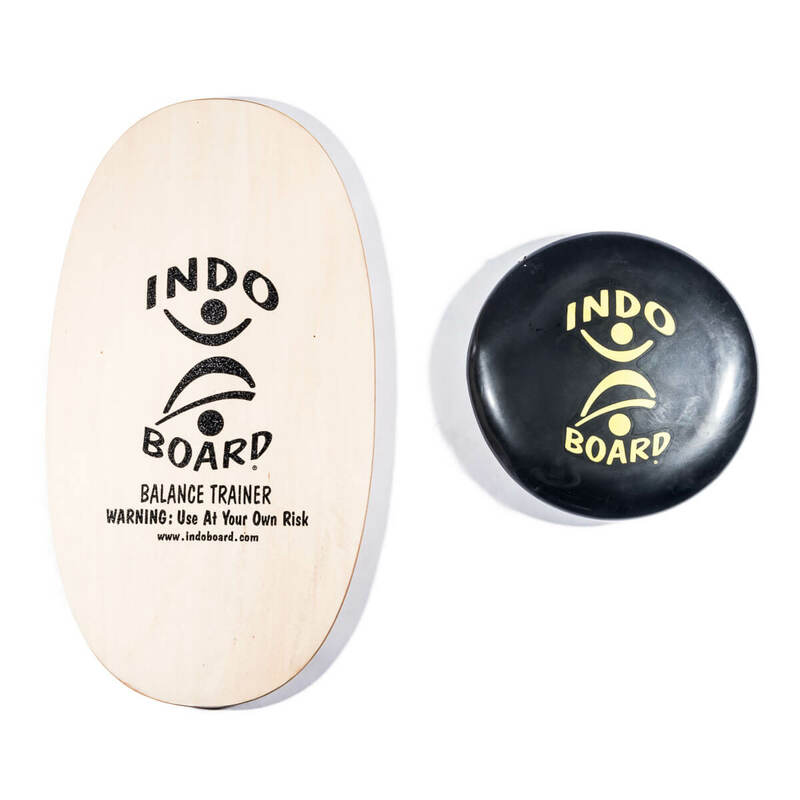 INDO brand balance board & cushion. 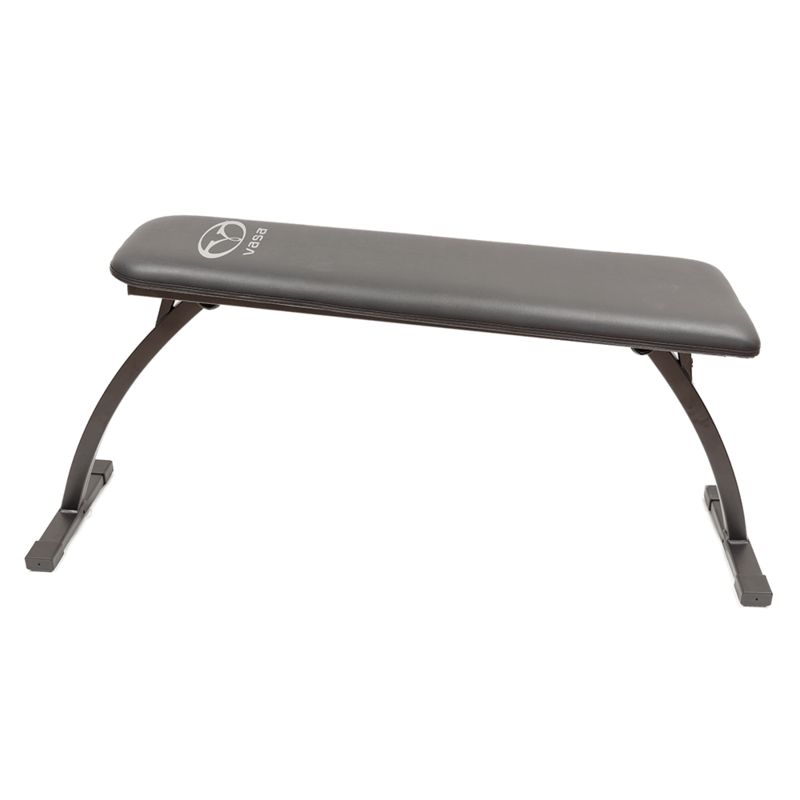 The Vasa Sport Bench is our portable, space-saving solution for maximizing swim training when paired with the Vasa SpaceSaver SwimErg. It's also versatile and can be used for functional cross conditioning to make improvements in strength, endurance, total fitness, and injury prevention. We’ve tested the Vasa wall-mounted SpaceSaver Erg over the last four months and have been surprised how often we turn to it, even living in Florida, where SUP is a year-round pastime. We’ve used it for 30-minute interval workouts, functional training, race preparation, swim workouts, and even for longer paddle sessions when Florida’s rain and notorious lightning have canceled scheduled outings on the water. Build endurance and strengthen your paddling strokes by training with SUP-specific exercises — in your own home or at the club. The Vasa SUP Erg is the ultimate dry land paddling system off the water to improve your SUP experience on the water. 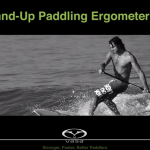 Get outstanding results for developing paddle-specific strength. Its variable wind resistance system replicates the realistic feeling of paddling on the water with accurate feedback to develop sustained paddling power, speed and endurance. With over 50 exercises, you can train for your season. The optional Power Meter will allow you to measure performance and keep track of your workouts with reliable, repeatable metrics. 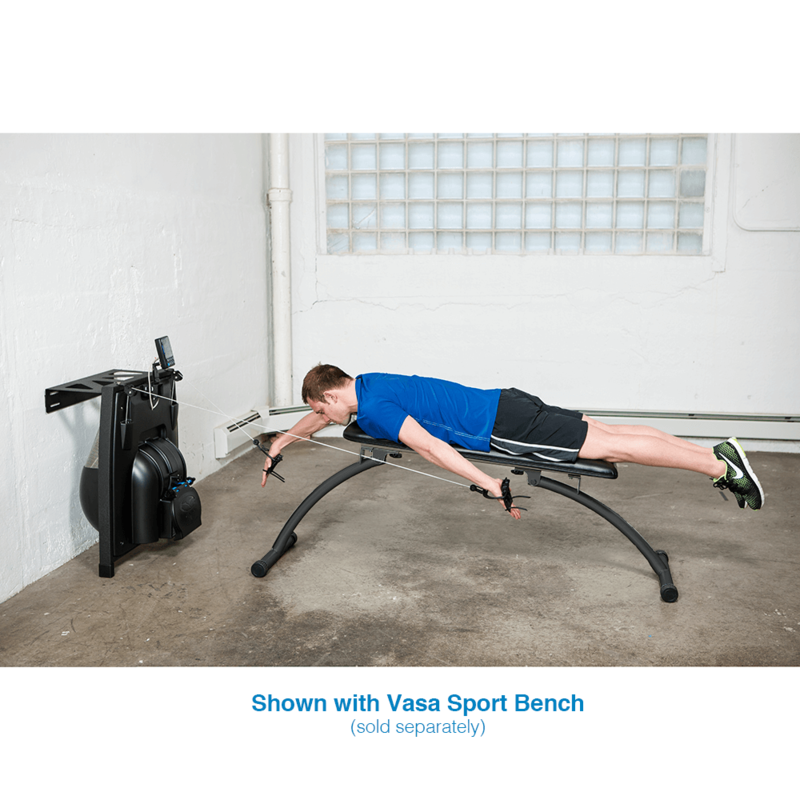 Add the Vasa portable Sport Bench to train for surfing, swimming, triathlon, and other paddle sports. View exercise poster here. Also, consider our traditional freestanding Swim Erg or Kayak Erg. Simply add a SUP shaft and use one versatile machine to train for all the sports you love. 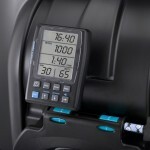 Make sure you have everything you need for your training with Ergometer Accessories. 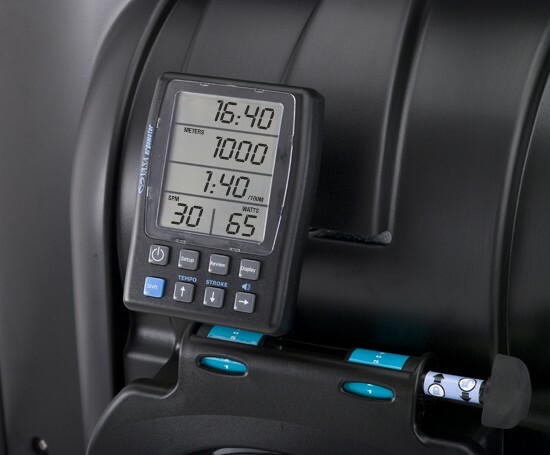 *Note: If you purchase a Vasa SUP Ergometer without a Power Meter, it’s easy to upgrade later. Learn more here. 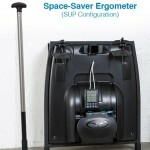 Shipping: SUP Ergometer is shipped in 1 box. Additional accessories may require additional boxes. How easy is the SUPErg to assemble? The Vasa SUP Ergometer requires very little assembly, as most of the difficult parts are already put together. Mounting the wall bracket properly will take the most time and effort. Clearly illustrated instructions are included. Allow about 30 – 45 minutes for this step. You will need to attach the Power Meter and either paddles or handles before use. If you need help, please call Vasa’s customer service and technical support toll-free at 1.802.872.7101 M-F, 9am-5pmEastern Time. How much space will be needed to use the SUPErg? We recommend a space of 8′ to 10’ long by 4’ wide, to allow the full range of motion in every direction. How do I adjust resistance? 2. Flywheel: Variable wind resistance feels like the resistance of swimming in water – the harder & faster you pull, the more resistance you will feel. 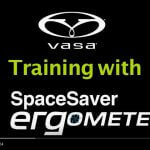 Which Vasa Ergometer model is right for me? 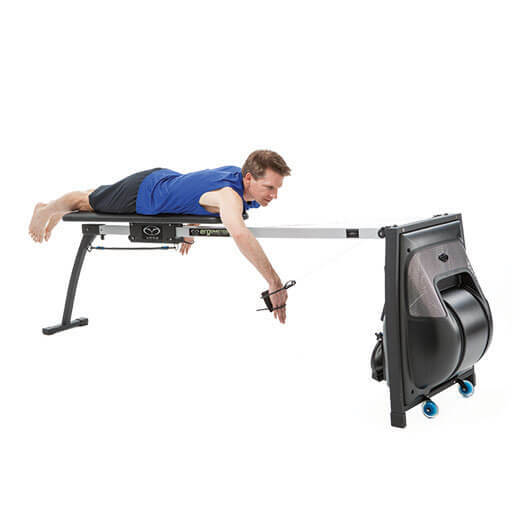 Vasa Ergometers are currently available in multiple configurations for a variety of sports-specific training. The SUPErg is wall-mounted and specifically designed to save floor space and for versatility. It comes with exercise handles and swim paddles. 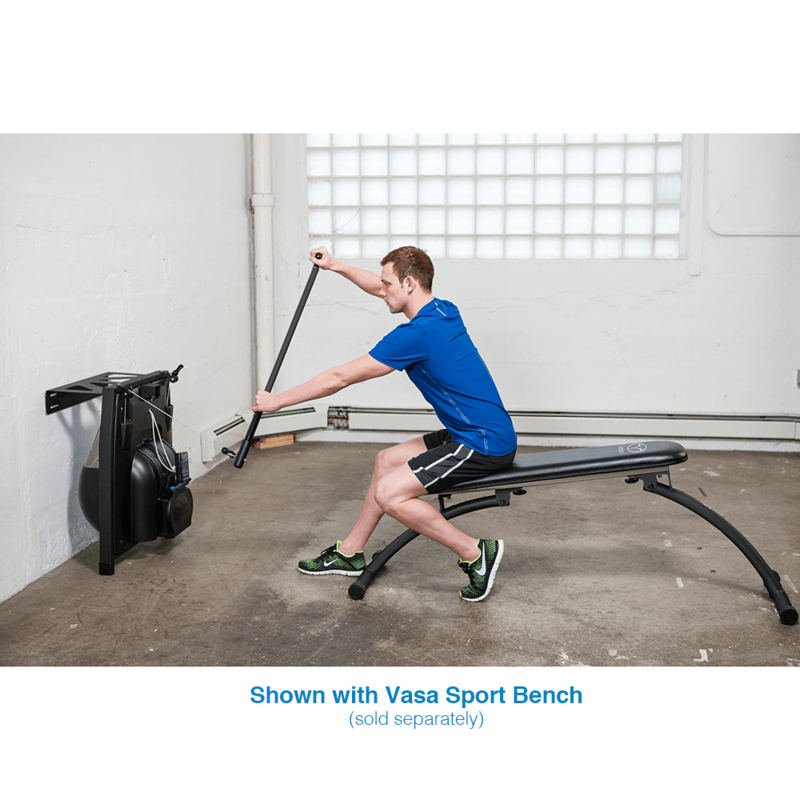 For swimming, the best option is the Vasa portable Sport Bench. 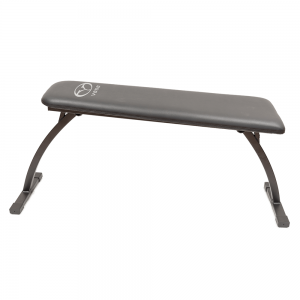 (it can be used with many standard weight benches sold separately) You can attach the Exercise Handles to perform a variety of functional exercises and Ankle Straps for leg exercises. The standard SwimErg and KayakErg are freestanding configurations. 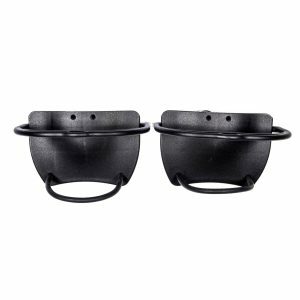 They are perfect for swimmers, triathletes, surfers and paddlers who have the space and prefer the features of these models over the wall-mounted Erg. I bought one of your SUPErg’s several years ago soon after they came out for SUP and I absolutely love it! I live in Michigan where the winters can get long and I am on it almost daily. My wife says my back looks like I’m a strong twenty-something. But I am a reasonably fit 66-year-old. In October, 2016 I injured my left knee, which restricted my normal cardio activities – biking, high-intensity elliptical training, and walking. It was a late fall, and I was able to continue paddle boarding until November 27, so that partly made up the gap, but when it became apparent that my tendonopathy would take up to a year to rehab I started looking around for an upper-body based cardio machine. I looked at ski ergs, but when I found the Vasa SUP Ergometer it seemed like a natural fit. I live on a lake, and I paddle front the day the ice goes out until a few days before it returns. What I found in the Vasa SUP Ergometer has far, far exceeded my expectations. In the course of five months, the Vasa has substantially altered my upper body. I am developing a swimmer’s V physique. The impact on my on water paddling has been really dramatic as well. I went to Mexico for a couple of weeks in early March, after two months on the Vasa, and logged 20 + hours on my inflatable in often very tough conditions. I was astounded at how much the power and rhythm of my stroke had improved. A few months on, paddling on the lake at home, all of these improvements are even more dramatic. I estimate a 15% increase in speed on the water. 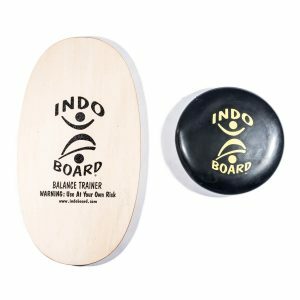 Balance training – Using the Indo Balance Board, which I bought with the Vasa, I spend about 10 minutes working on balance at low paddling intensity. My ability to increase the intensity may improve over time, but for the moment in this segment the focus is balance. The Indo is very challenging! I do this training two or three times a week. Strength / cardio training – The beauty of the Vasa is that it creates a really strong upper body while doing a cardio workout. In the beginning, I wasn’t strong enough and didn’t have enough endurance to really get my heart rate up (in contrast to the elliptical, where I do 20 to 40-minute workouts at 90 to 100% of TMR). But this strength / cardio balance is on a steep upward curve. I have found that I prefer to paddle on one side for about 20 to 30 seconds, then change paddle hands, and step laterally either right or left, so that the pull on the ergometer is directly out from the machine. This stroke is to me most like a power stroke on water, with the line of force directly down the side of the board. This is the part of the workout where I concentrate on form and cadence, and also on my tennis player grunt that accompanies each stroke, and has carried over to my on-water paddling. This part of my workout is typically either 20 or 40-minutes long and depending on what else I am doing as part of the session, four to six times a week. Ancillary exercises / functional mobility – In this part of the workout I put the handles on the machine, and do exercises like: back to the machine, punch low, middle-low, middle and high; reverse chest fly; swimming strokes in a standing position, including freestyle, backstroke, breaststroke and butterfly; both hands on the handles, round the world movement, clockwise and counter-clockwise, both sides; one hand round the world. These exercises work some different muscles from the regular SUP stroke. I cannot overstate how much I like the Vasa SUP Ergometer. I recommend it to everyone who is serious about fitness! I am confident that this machine will make it much easier for me to enjoy many, many active happy years. Thank you Vasa! Vasa-riffic! That’s what I think of it. As a professional stand up paddle athlete, I knew the value of training indoors but hadn’t found a way that really mimicked being out on the water. Now, aside from not getting vitamin D and sunshine, this machine and all its many modalities have not only made me a better paddler, but it’s amazing how many other exercises I can use it for! I teach pilates and yoga as well as being a certified personal trainer, and I have literally found that I need no other piece of equipment for what I do than the Vasa SUPErg. I love the extra attachment accessories like the ankle straps as well. And the power meter really is a must. I have been able to adequately increase my strokes per minute, and the power behind my stroke in a very short time of using it even just 3x per week. I get on the water every chance I get, but in Missouri, that’s not quite as often as I’d prefer, so I’m SUPer stoked to own my Vasa SUPErg and have no excuse not to keep my paddling muscles amped. I just returned from two weeks in Cabo San Lucas, where I logged fifteen plus hours on my inflatable paddle board. Paddling in the Sea of Cortez can be really tough, with egg carton sea conditions and two to three-foot boat wakes. I was really amazed how much stronger I was on the board after two months using the SUP erg. I am really looking forward to seeing the improvement after a couple of years of training! I was also really happy to come home to my Vasa. It is such a great piece of equipment! I’ve had a bad sup surfing accident about a year ago. The fin of my board cut me right under the right calf. 34 stitches to close. 5 inside and 29 outside. Basically, it sidelined me for almost 10 months. Absolutely no leg activity for 4 months. Just hearing those words was enough to drive me nuts. I kept active by using your SUP Ergometer. Transferring the activity from SUP to canoe paddling. It did the job but I had to wait until the 4th month to start to walk without fear of tearing muscles on the inside of my calf. After awhile, I was able to stand on my paddle board and actually paddle again. Being on the ocean, my leg still felt weak. Slowly I was able to work my leg back into shape. Although I was very hesitant about doing any squats or strenuous lifting. Then one day I got an email from Vasa showing the Vasa Trainer (which helps keep me in shape for surf season.) It showed a platform and a short video of how you could do leg exercises. That was exactly what I needed! The squats and one legged push-offs helped me get to 80% of my leg strength. Especially since it isolates a specific area. For me, it was being able to directly work the calf muscle. Although I have a little ways left to go, using the Vasa Trainer has definitely helped my rehabilitation. Now with the extra bands, it will definitely get me to where I need to be. 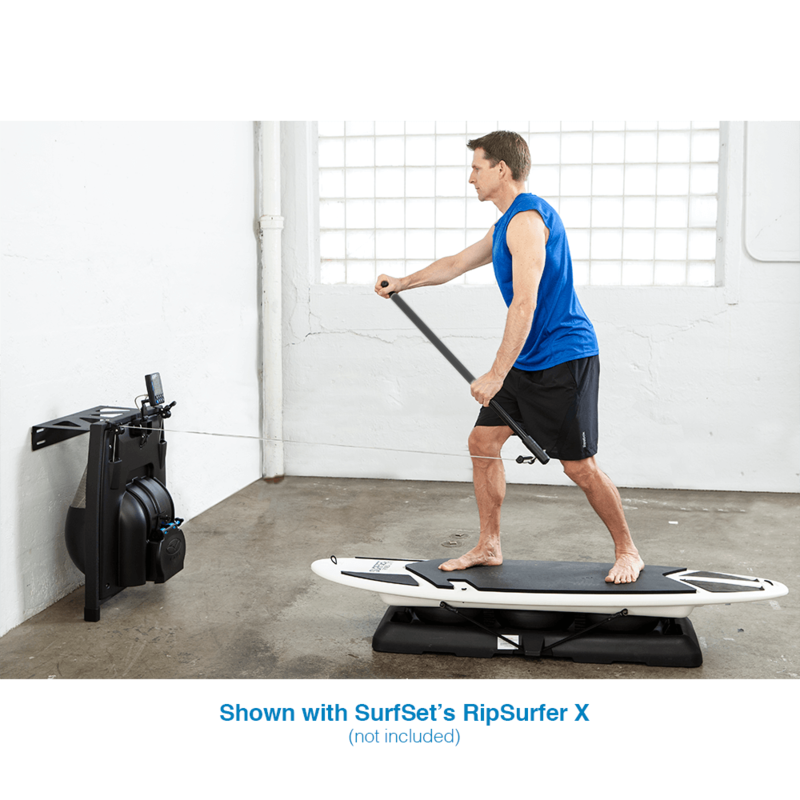 As part of Team Hobie Hawaii the SUP Ergometer is one of our most versatile workout machines. We constantly incorporate it in our training. By using some of the accessories and making our own versions, we are able to closely simulate the paddling stroke and motions that occur while on the water. It’s perfect to practice paddling stroke and technique. In fact we actually take it down to some of our beach demo’s just to show people how our pros do it. There are times when our schedule won’t permit us to get to the water. But with the SUP Ergometer, we can still get our workout in. Even at night! When being too dark….is not an option. 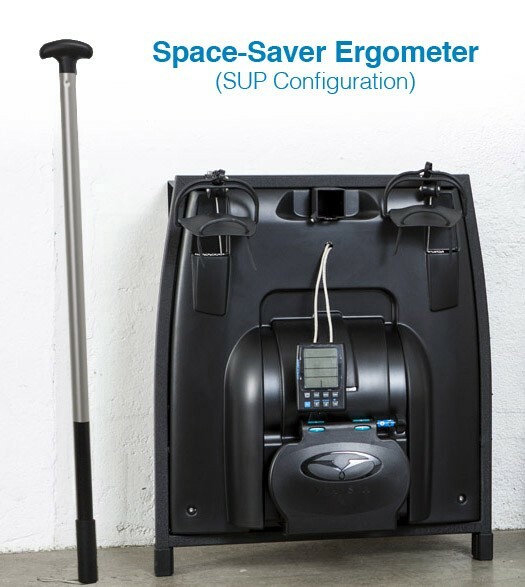 Its versatility is a big reason why we use the SUP Ergometer. 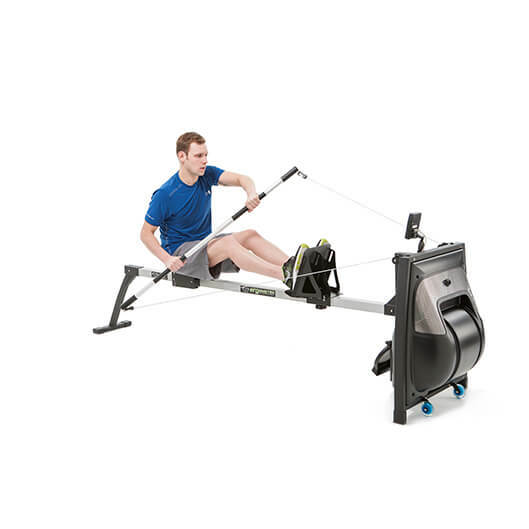 When we want to change up the routine, we’ve actually switch the stand and make it into the Kayak Ergometer which helps our athletes cross over into the canoe paddling side of things. Now with cross training the big rage, we actually use it during our lifting workouts. 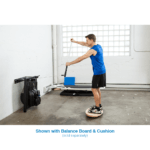 By standing and using the SUP Ergometer we can do shoulder exercises, hip twists, cardio paddling (just to name a few) we are able to stretch and strengthen specific muscles groups in our bodies. Awesome machine! Mahalo (thank you) Vasa for what you do for our athletes and workout enthusiasts everywhere!